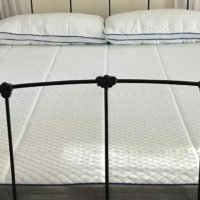 Essentia Mattress Review | Find out why we love the Essentia so much. Essentia claims to be the healthiest mattress in the world. They use innovative techniques such as rubber tree sap to achieve this. Read our Essentia mattress review and learn why it’s the #1 rated organic mattress. Or skip the review and buy the Essentia Mattress below. Essentia makes a good number of different mattresses. Their newest mattresses are the Bionda and the Stratami. Their standard mattresses are the Classic 8 and the Energie Opus. Their top of the line mattresses are the Beausommet, Dormeuse, and Dormeuse Fior. 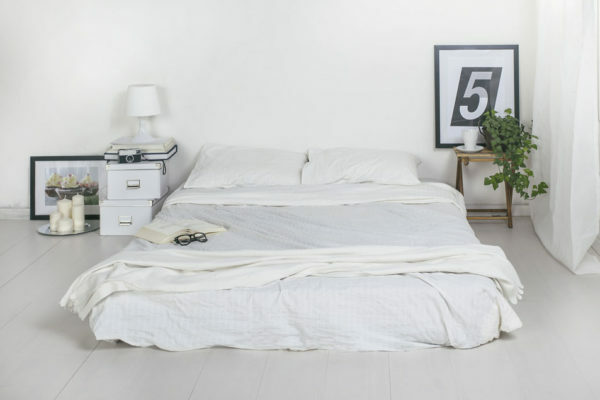 We researched the Classic 8 for our Essentia mattress review. It is the middle of the line mattress in many respects. The classic eight has a firmness rating of 6 out of 10(10 being the firmest). All Essentia mattresses have two layers of foam. The top natural memory foam provides the comfortable sleep. The high-density foam beneath gives the great back support. The natural memory foam is made from hevea milk (rubber tree sap). It does a phenomenal job relieving pressure, while still providing support. Support is a big factor to look at with a memory foam top layer. Softer mattresses often lack good support for back sleepers. Our research found that the Classic 8 did a good job supporting the sleeper. We have not heard of any customers waking up with back aches or any other issues associated with poor mattress support. The Essentia sinks around 2 inches for a normal person. This is about what we expected with a memory foam top layer. 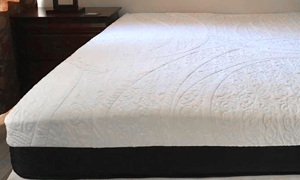 We recommend looking at the Beausommet or Startami for a bouncier, firmer mattress. Those mattresses have latex construction that provide a firmer sleep. Heat is often the other big issue with memory foam. Luckily the Essentia Classic 8 did a terrific job keeping sleepers cool. The Hevea milk construction of the memory foam might play a big role in the coolness. The organic cotton cover also helped the mattress breathe during the night. There is the usual rubber like smell when opening the mattress box. The smell should quickly fade away in a few hours. Essentia beds may be a little more expensive, but they only use the best quality material. The Hevea Milk foam top layer does a good job blending between soft and firm. The Hevea Milk foam and organic cotton cover work well together to keep the sleeper cool. We love finding out what makes a mattress works. 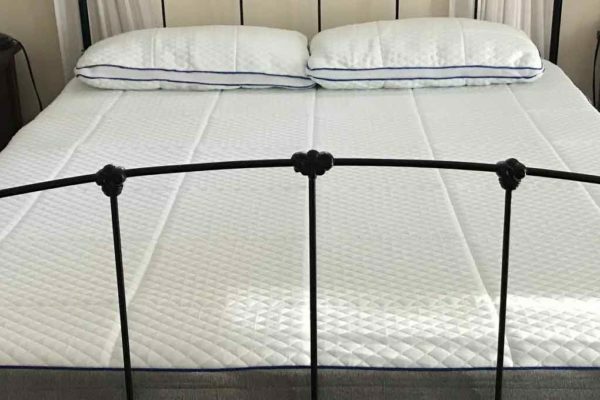 Take a look at what is under the covers with the Essentia Mattress review. The Essentia has two covers. The bottom part is a Bucaneve cotton wrap that prevents friction and wear of the mattress. The top part is their organic cotton fabric cover. It is removable for easy washing. 2 inches of Hevea Milk Memory Foam. The rubber sap memory foam is not only 100 percent organic, it is very comfortable. The unique properties of the material allow it to breathe and remain cooler. 6 inches of natural latex support foam. They use the Dunlop process to give the material a strong foundation. Essentia makes some of the higher end beds. Their organic mattresses are nice, but do cost a fair amount more than comparable companies. Let us know what you think about the price in our Essentia Mattress Review comments section. 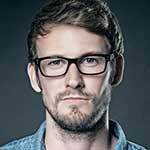 They do not provide or supply any Essentia promo codes. They value the quality of their mattress and believe their prices are accurate. That being said, it can’t hurt to ask if there are any Essentia discounts when you visit their store. Essentia makes a top quality mattress. We loved the Classic 8 for numerous reasons. The top memory foam layer is very comfortable, while still remaining cool. The latex foundation beneath gives just the right amount of support a perfect nights sleep. The only flaw we could find with the Essentia is the high price tag. If you calculate the hours spent in bed, you might realize it is actually pretty cheap. There are no Essentia promo codes, but they do offer a 60-day risk-free trial period.